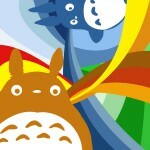 Home > Anime > Comic Market ~ Heaven of all comics, anime, and Doujinshi Lovers ! 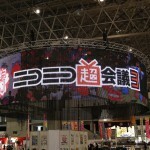 “Comic Market” or also known as Comiket is the world biggest manga, anime, and doujinshi fair. It is held twice a year; once during August known as NatsuComi, and once during December, known as FuyuComi, at Tokyo Big Sight near Ariake in Odaiba, Tokyo. This three-day event gathered almost 600,000 people. *Doujinshi is a Japanese term for self-published work, usually manga novels or manga. Comic Market’s entry does not required reservation or entrance fee, but it is recommendable to have the Comiket’s catalog. Comiket’s catalog contains lists of all the booths (doujin circles), attending guests and vendors, a map of the venue, rules and manner in participating in Comiket, and other useful information. It is absolutely crucial to navigating and surviving the enormous event. ※It is possible to attend the event, even without the catalog. Comiket Catalog is like a guide map for sailing safely in a vast sea called Comiket. For people who are interested in attending Comiket, we recommend you to read the Catalog beforehand. Comic Market Catalog is usually sold one month prior to event; it can be bought from major book stores, doujin shop, etc. It is. During the event, the catalog can is also sold outside the venue near the waiting column or in some parts of the venue by Comiket Staff. If you want to buy Comiket Catalog, please contact Nozomi Co. Ltd.
For first-timers, watching Cosplay at Cosplay Square can be an exciting experience. Even without knowing the original story, visitors can immersed themselves in the festivals and enjoy. Since the main event is selling doujinshi, it is recommended to walk around and the booths. 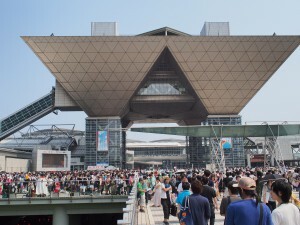 The West Hall which is close to the Cosplay Square, is less crowded that the East Hall, which is meant for selling doujinshi, thus, visitors can enjoyed the atmosphere of Comiket without getting stuck in the crowd. If you are a first-timer for Comiket, we advised you to first buy the catalog and read all the cautions regarding the Comiket. 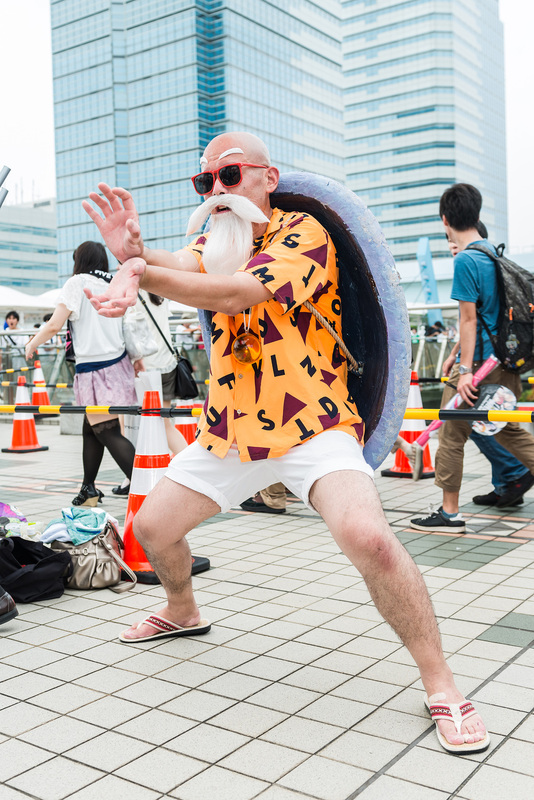 There are many rules and manners that Comiket participants should keep. In addition, there are several additions and revision to the rules which differed by year. This is an event which has more than 100,000 participants, if participants did not know the rules; it could cause troubles to yourself and people around you. 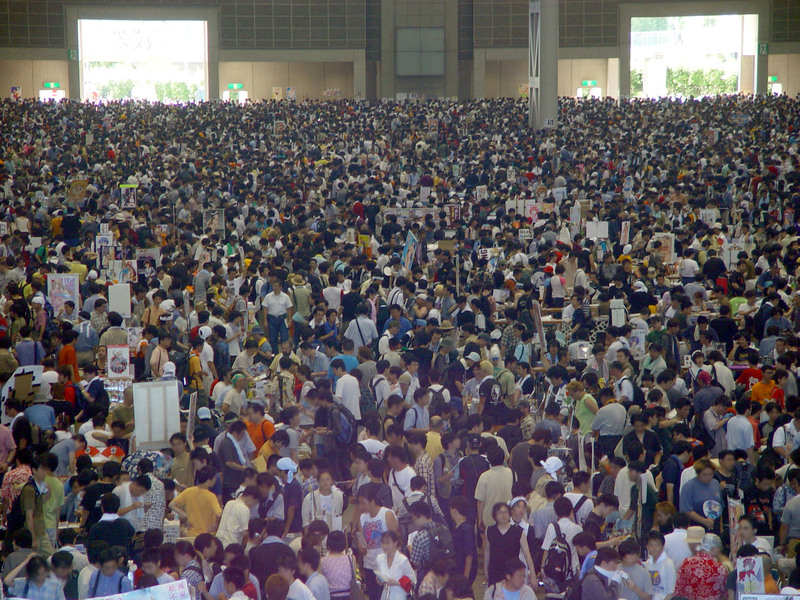 Therefore, understanding and keeping the rules can be considered an important condition in attending Comiket. By carefully reading and following cautions written in the Catalog, even first-timers to Comiket can enjoy the event without any troubles. Furthermore, the Catalog has the map of the venue, location of the doujin circles booth, etc. Tokyo Big Sight is a big and has complex structure, so there is a high tendency that first-timer might get lost. Moreover, it would be troublesome to wander around without having an idea of which doujinshi circles to visit and how to go. Therefore, it is essential to check the catalog beforehand. The Catalog has a tear-off location map, so you could write the circle’s name and location and bring it with you on the event day. To prevent problems regarding not having change, please prepare lots of coins and small changes, preferably, 100 yen coin, 500 yen coin, and 1000 yen bill. The venue has ATM that supports most of financial institution cards, but still there is a cash-shortage problems occur. There are lots of cases where 10,000 yen bill cannot be used or the vendor does not accept credit card payment. When you are interested in a doujinshi, say “please show me …. Doujinshi” to the Doujinshi circle member. When you do not want to buy and want to return the doujinshi, say “thank you for showing me the …. Doujinshi. Just by adding this one word, the hearer would feel very grateful. In some cases, some pretend to be checking and holding the book, the doujinshi just disappear out of nowhere (in short, theft). Doujin is made with lots of effort, so please handle it carefully. In addition, when selling the doujinshi, to the circle member is like having their work examined, they feel very nervous. They would feel very glad if the buyer voice out their opinions or questions regarding their work, so please try to voice out your opinion to them. Even if you take a look at the Dojinshi and talk with the circle, it does not mean than you will definitely buy the Doujinshi, so please voice out your interest and enjoy conversation with doujinshi circle. There are two Cosplay Square, one is located near the left side of Big Sight Entrance and in the Outdoor Exhibition Hall, in the inner corner of West Exhibition Hall (Companies Booth). No photo or video shooting is allowed without the permission of the photography’s subject. Taking photos or video is strictly prohibited outside of the Cosplay Area. In addition, uploading the photos took without the subject’s permission is strictly forbidden. Wearing Cosplay costume to the Comic Market is not allowed. When doing cosplay, the subject has to change to their cosplay costume in the Dressing Room in the West. Then after registering and having their costume checked, they will receive Cosplayer Pass “Change”. The cosplayer could change their costume from 10:00~15:00 with the registration fee of 800 yen. Changing costume at place other than the dressing room is strictly prohibited. Wearing short pants under skirts to prevent secret filming, minimizing your belongings since there is short changing time. It is best to go during 11:00~12:00 for first-timers. If you go earlier, you have to wait, lining up outside under the blazing sun. On the other way round, if you go during the afternoon, lots of circle would have sold out all their goods and withdraw from the venue. This is the tendency regarding genre allocation. Among the three days, the third day is the most crowded and busiest day of all. Doujinshi Circle with popular genre targeting men or is predicted to have long waiting lines is centrally located on the 3rd Day. Therefore, the East Hall is especially crowded during the morning of the 3rd day, therefore, it might be too tough for first-timers or woman, so we recommend you to visit during the afternoon. 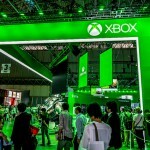 Regarding the Commercial booth, the location is same for all three days. However, there are cases in which limited edition goods were all sold out on the first day. Thus, it is better to go on the first day to make sure you will get hands on the goods. If you stay over one day earlier in Tokyo or Tokyo Suburbs, it is best to go to Big Sight via train. There are two station with similar name Kokusai-Tenjijō Station (International Exhibition Centre Station) and Kokusaitenjijo-Seimon Station (International Exhibition Centre Main Gate Station). Kokusai-Tenjijō Station is a railway station on the Rinkai Line. It is a more popular means of accessing to Big Sight. Rinkai Line can be transfer to JR or Tokyo Metro via Osaki Station, Oimachi Station, Shin-Kiba Station. It is connected directly with Saikyo Line, so passengers could get to Shinjuku or Ikeburu without having to transfer. It takes 7 minutes to walk from Kokusai-Tenjijō Station to Big Sight. During the event exhibition, you can follow the flow of people from the station until the venue. Kokusaitenjijo-Seimon Station, connected with Yurikamome, is actually nearer to Big Sight than Kokusai-Tenjijō Station. Yurikamome is connected JR or Tokyo Metro at Shinbashi Station. Yurikamome differed from Rinkai Line that it is a monorail; therefore passengers can enjoy the vista of Odaiba while heading toward the venue, which is one of its attractive points. It talks 3 minutes walking from Yurikamome’s Kokusaitenjijo-Seimon Station to the venue.